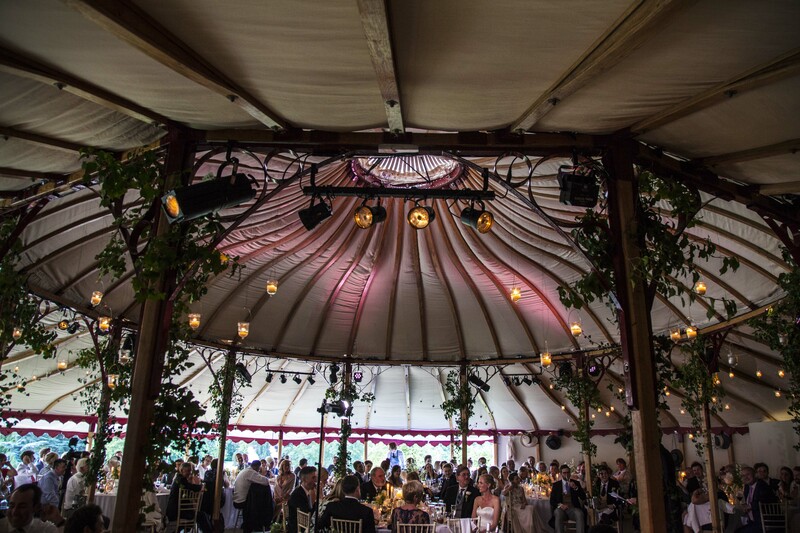 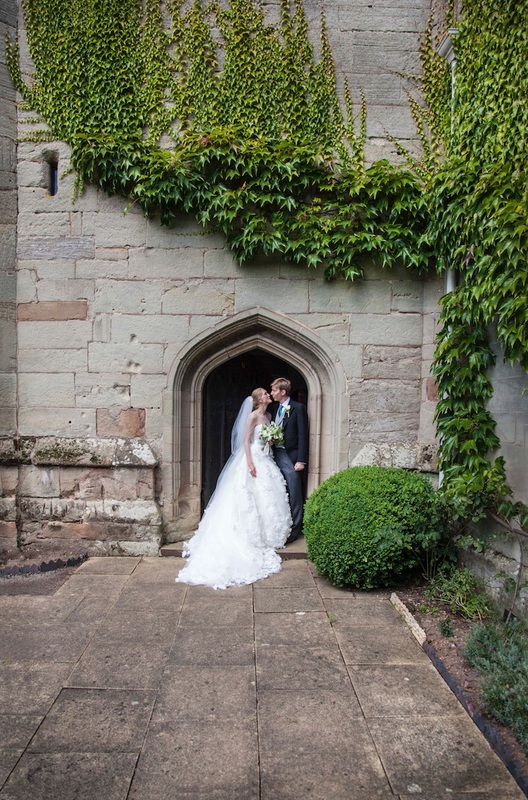 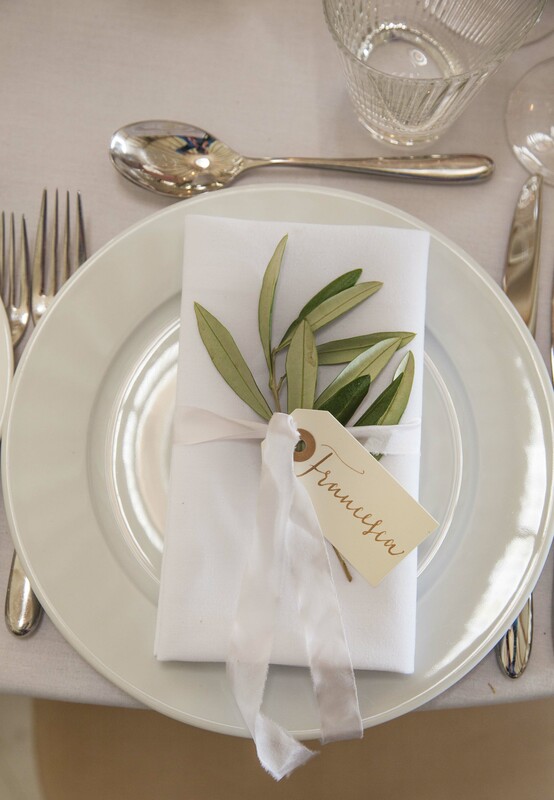 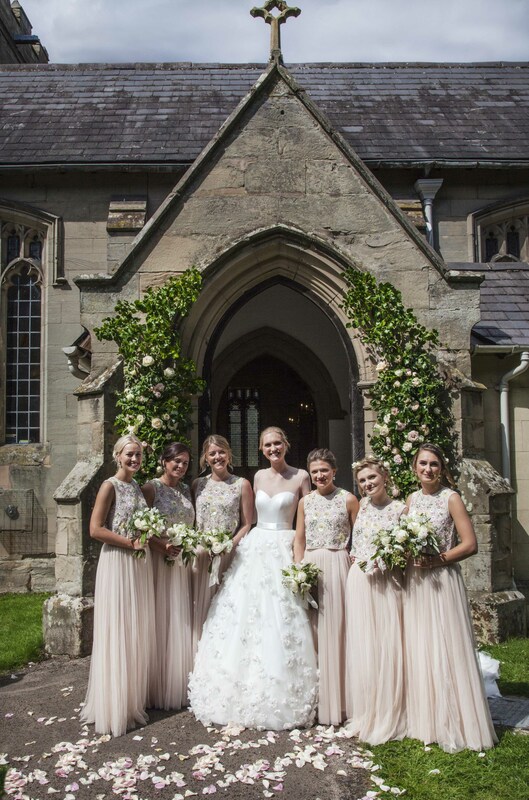 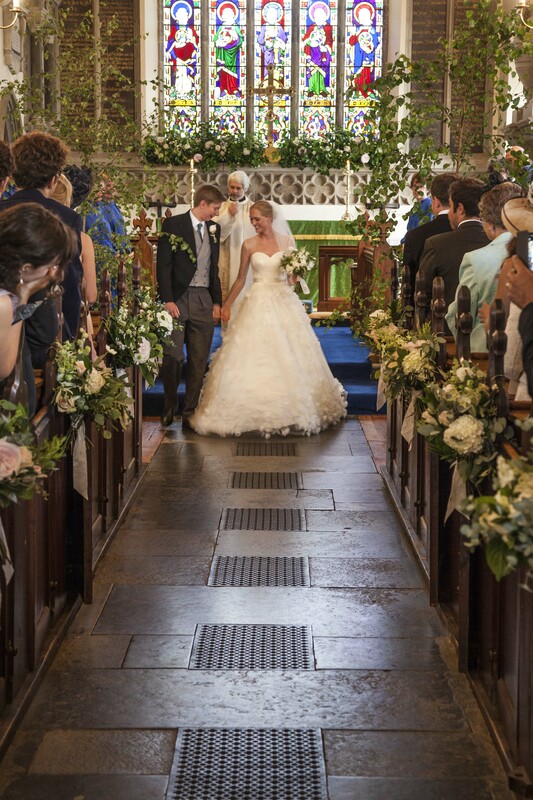 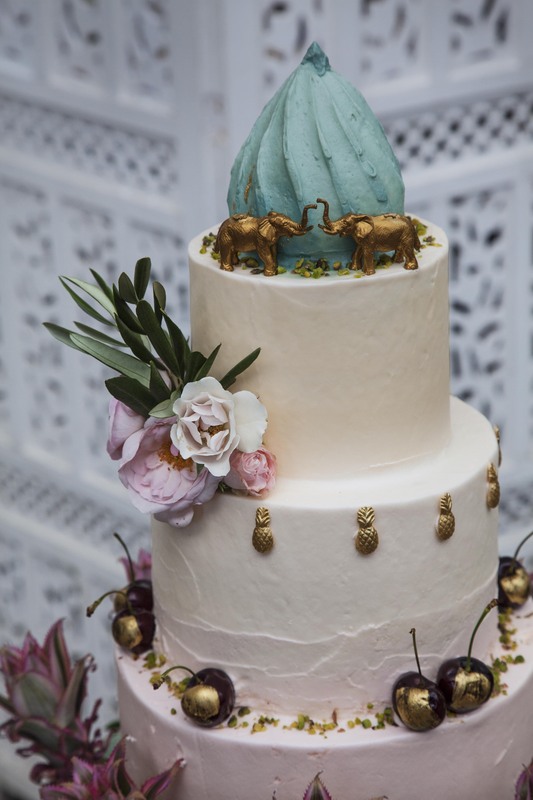 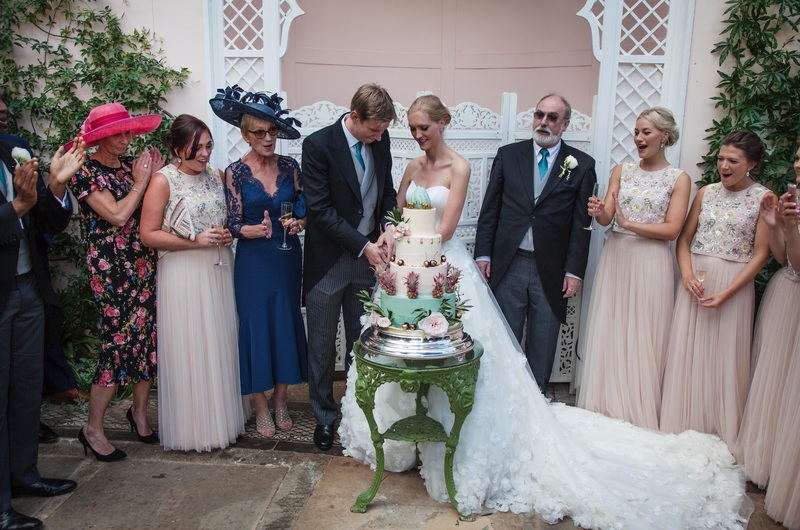 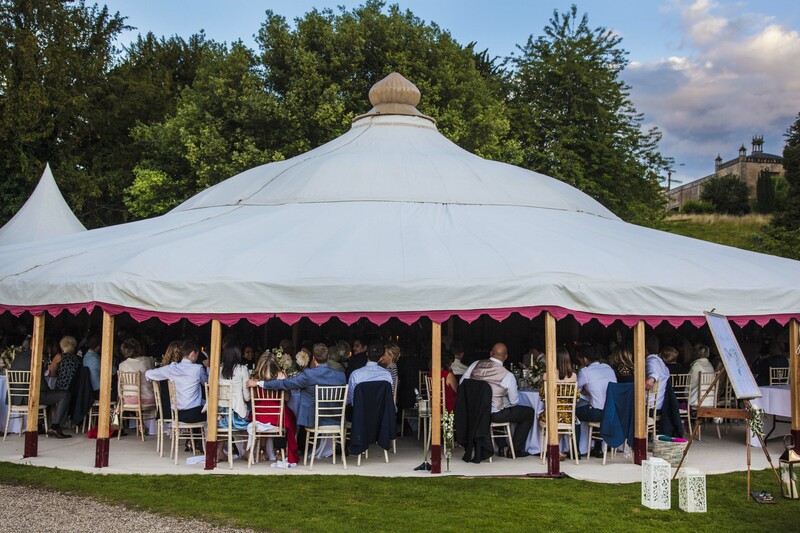 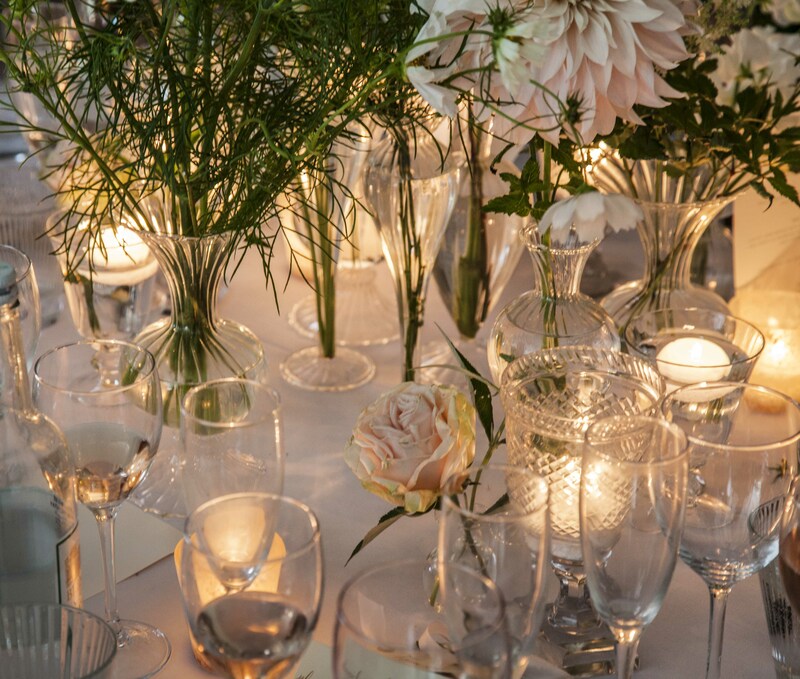 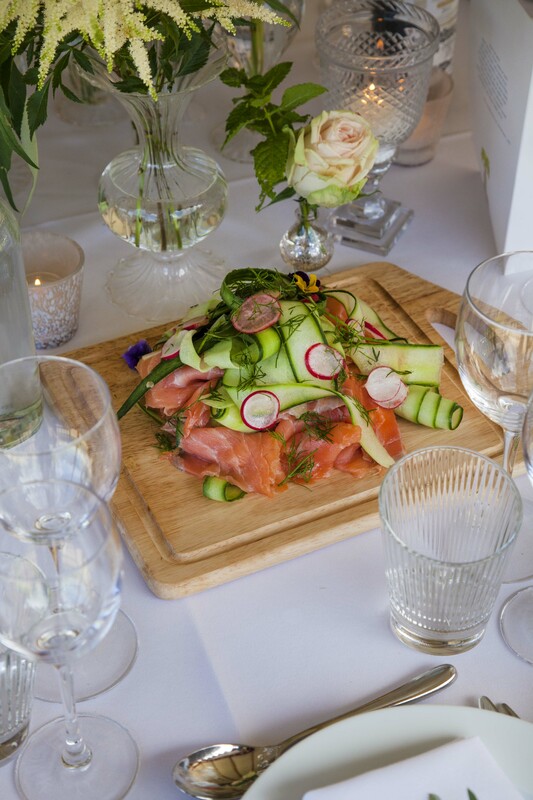 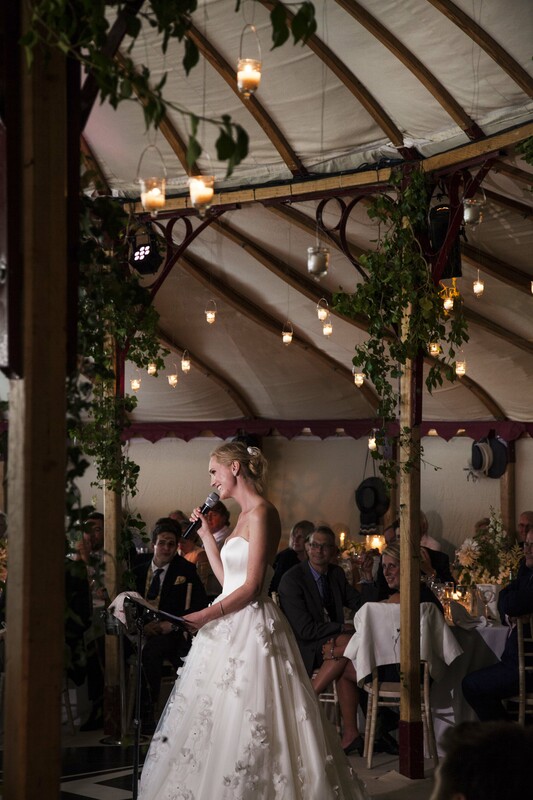 We are very excited to share this stunning wedding with you. 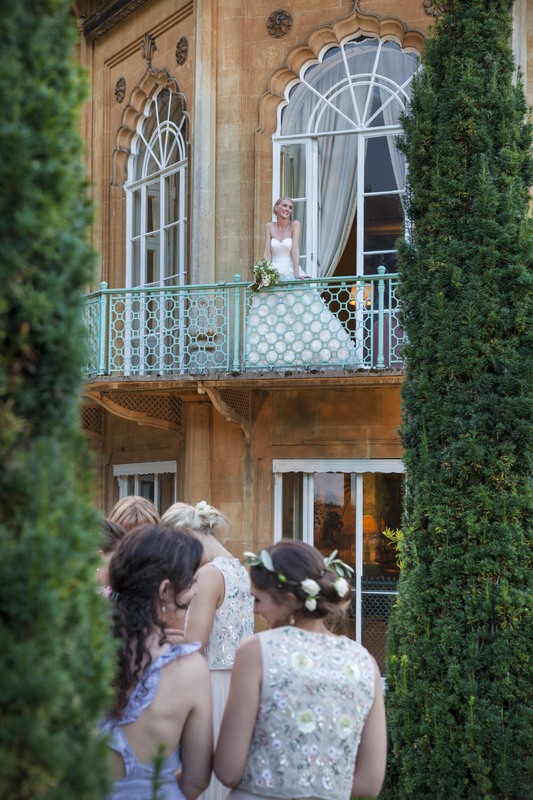 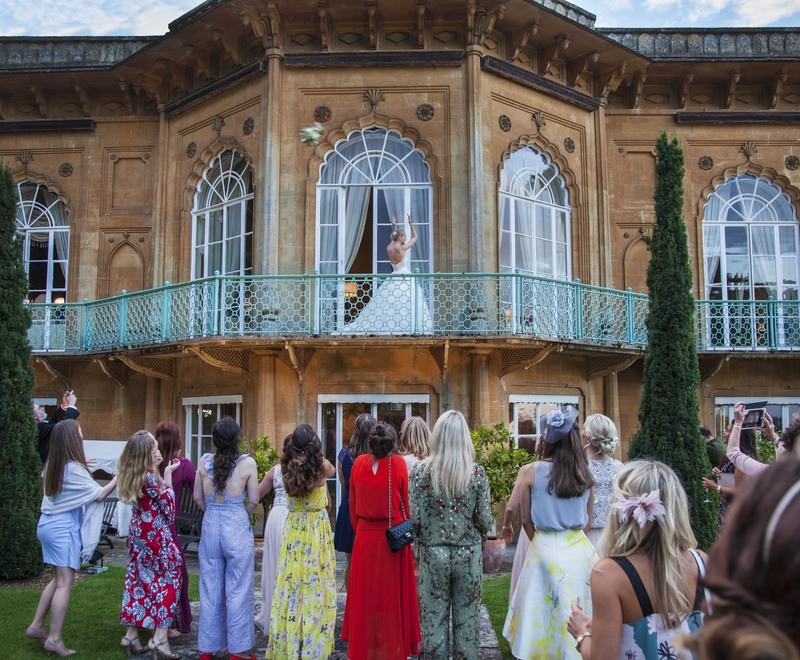 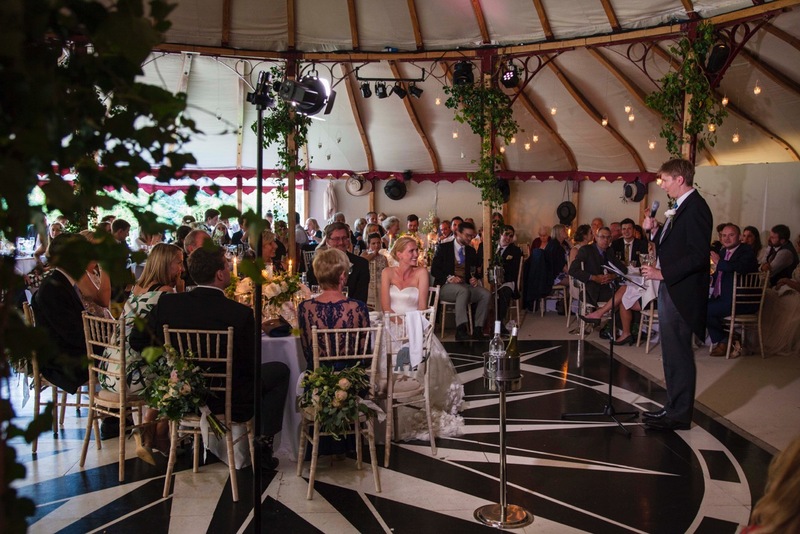 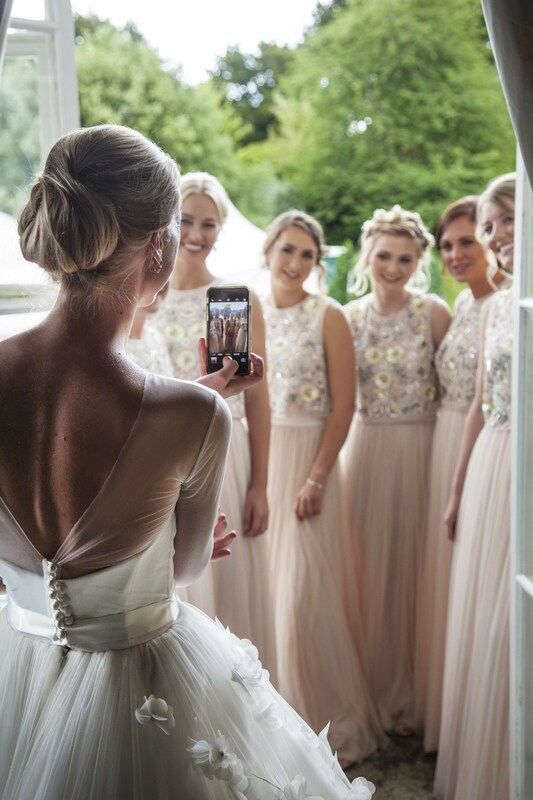 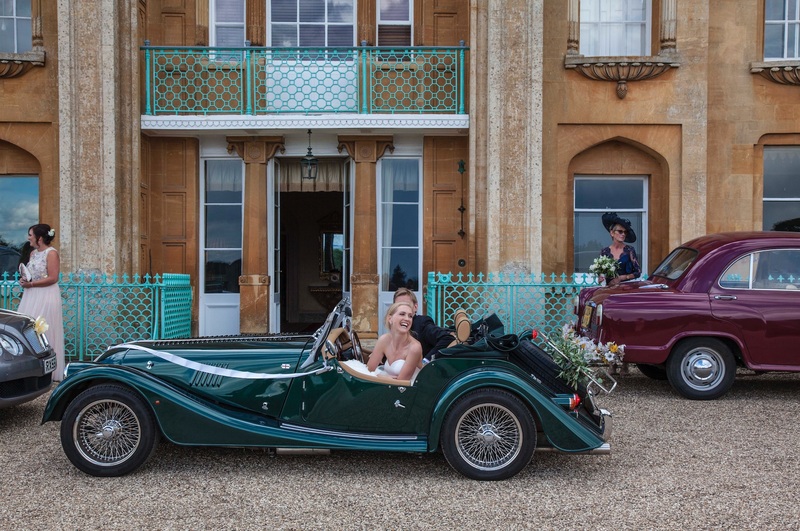 Our beautiful Bride Francesca married her Groom Matthew in the most magical setting in the Cotswolds at Sezincote House, with pictures by the incredibly talented Jonny West. 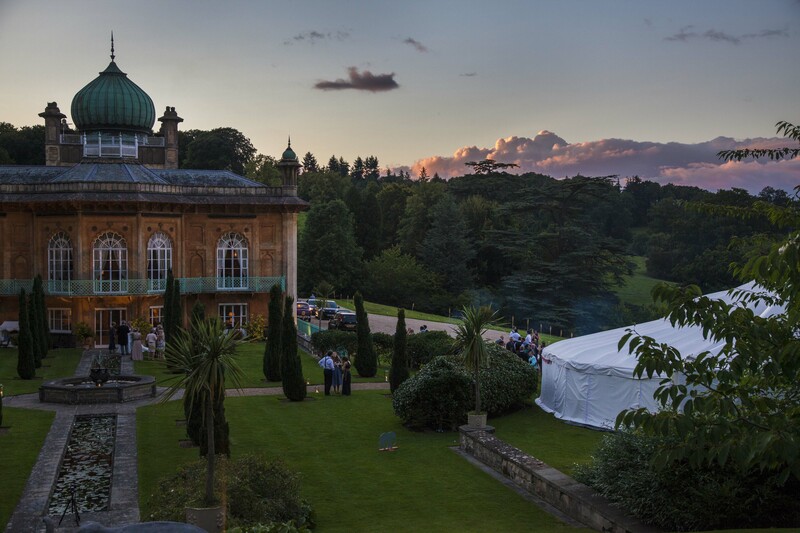 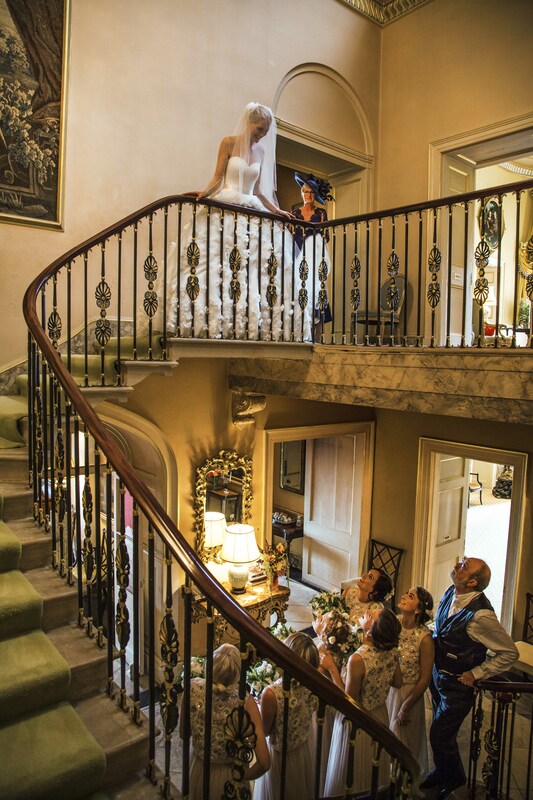 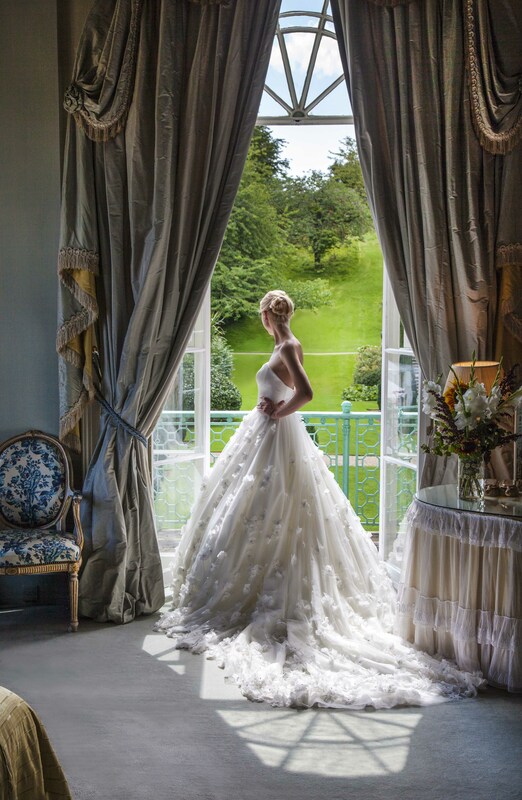 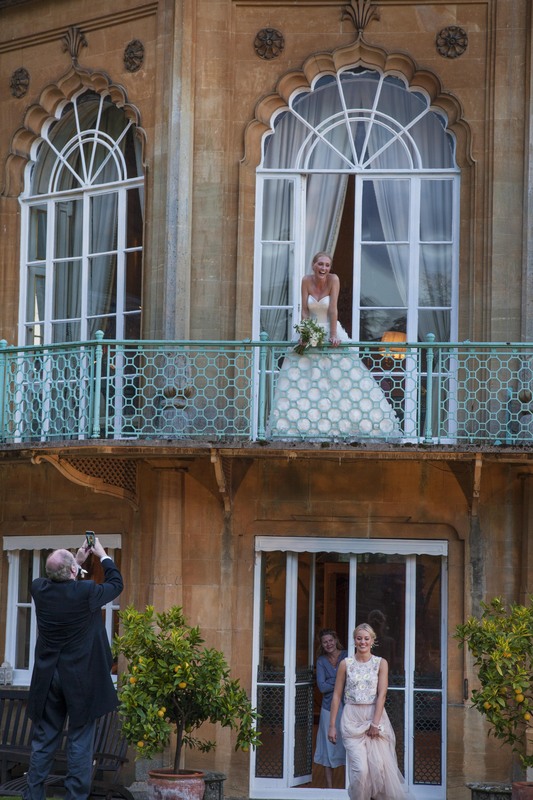 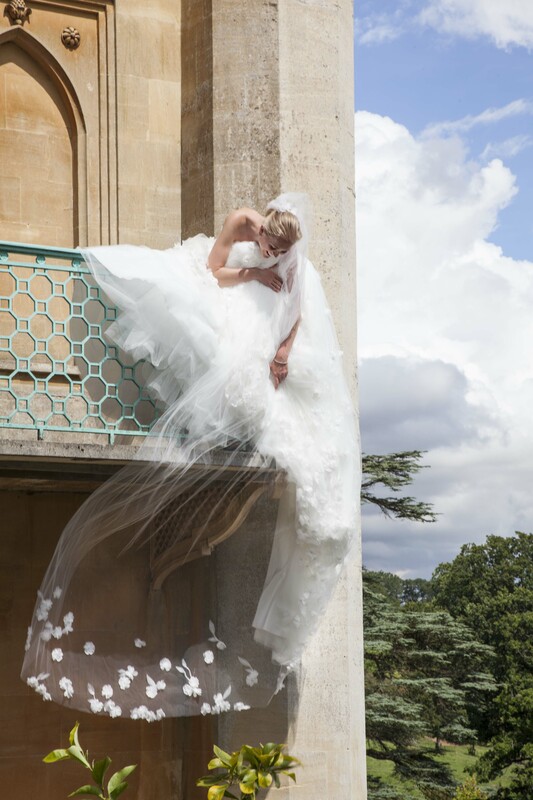 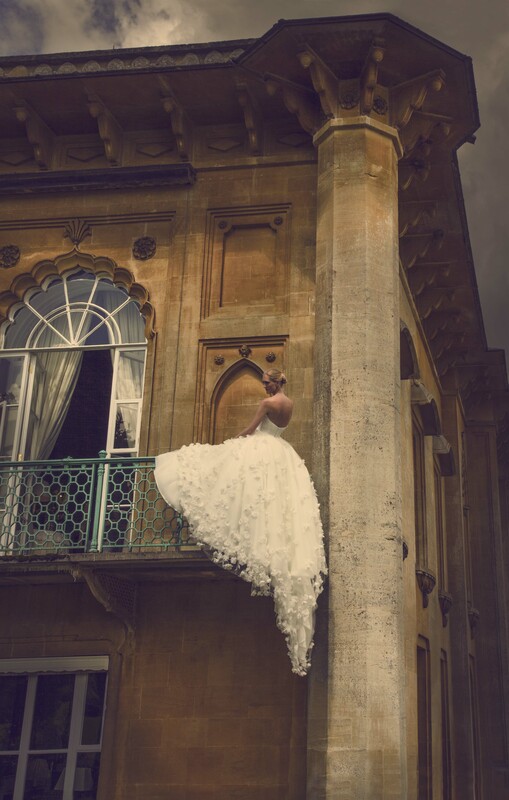 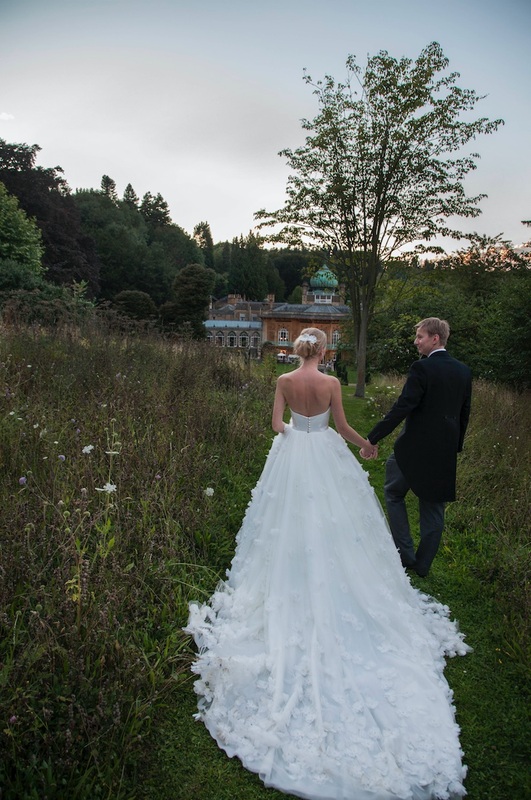 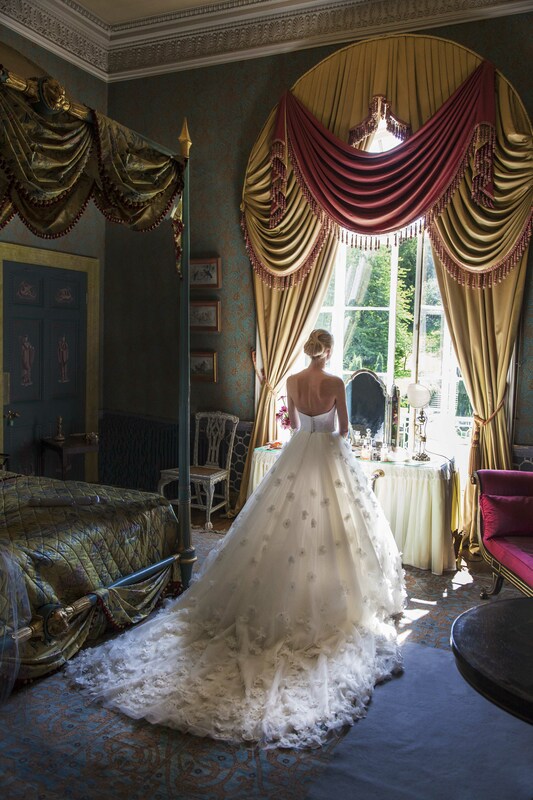 Francesca knew exactly what she wanted when she first visited our Knightsbridge store, with a fabulous wedding venue already booked Francesca knew she needed a dress with impact to suit the incredible and dramatic venue Sezincote House. 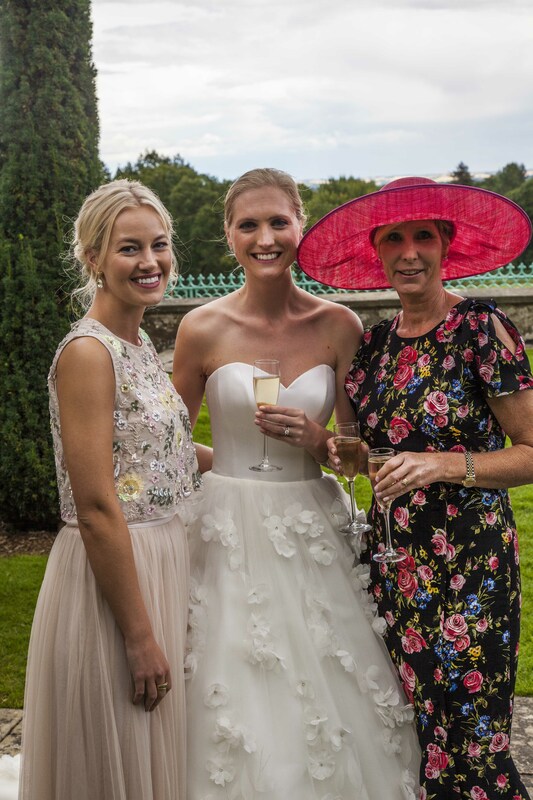 Having tried various shapes Francesca decided she wanted both a full gown for the daytime and a slimmer style for the evening. 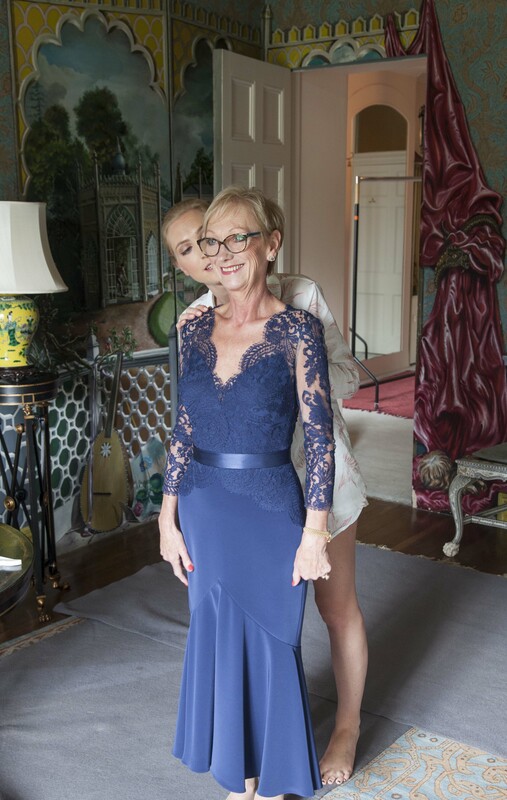 Suzanne worked with Francesca to create a bespoke design for the main dress, using a fabric Suzanne had been waiting to use for something special for a long time. 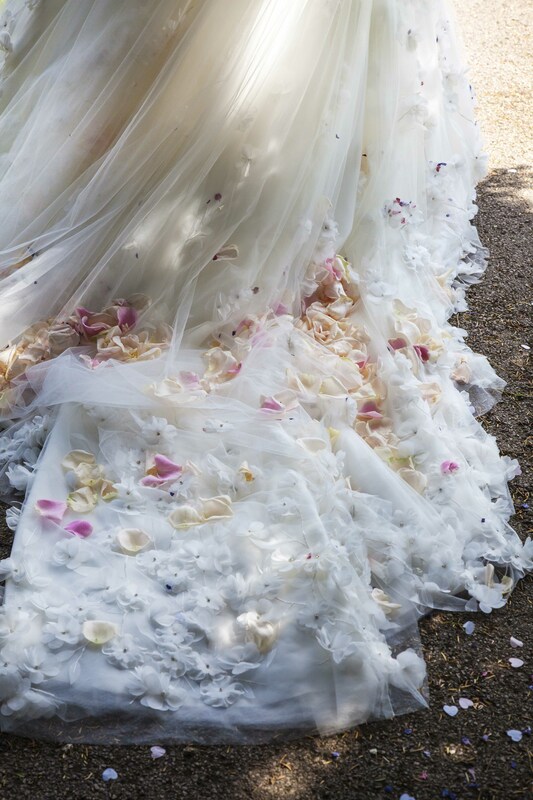 The fabric is a soft tulle scattered with hand embroidered silk flowers, this was used as the top layer on the full tulle skirt with long train, which was pared with a strapless fitted satin bodice, sheer tulle jacket with 3/4 length sleeves, and matching long veil. 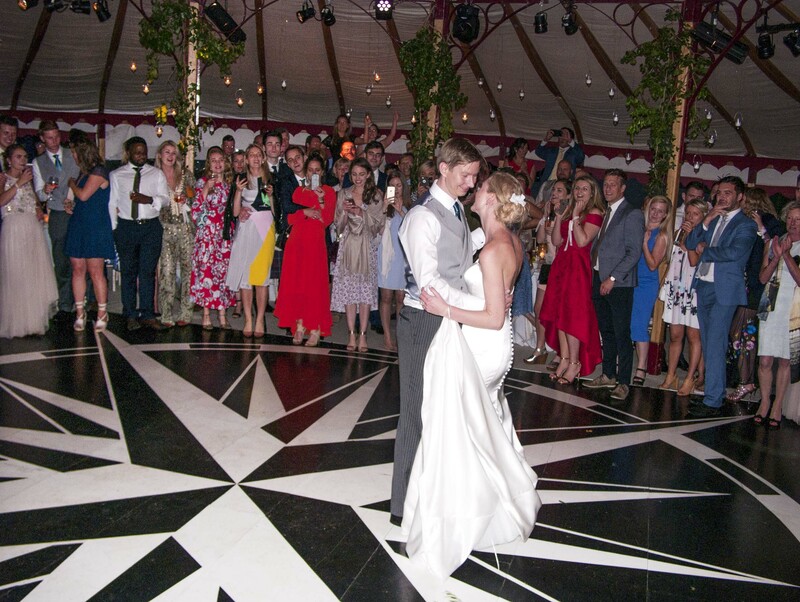 For the evening gown Francesca chose a slim fitting strapless satin gown to show off her enviable figure on the dance floor and make things a little easier when it came to dancing! 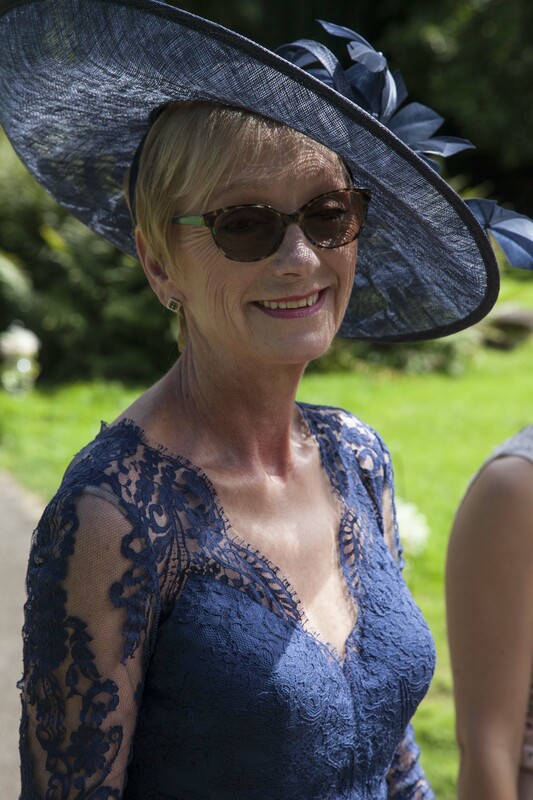 “I just wanted to say from the very bottom of my heart just how grateful I am for everything you have done for me over the last year. 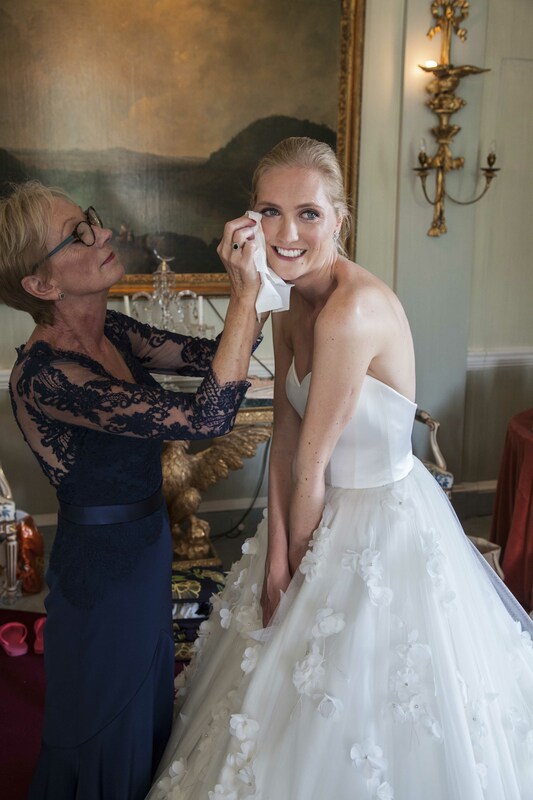 You have not only made my dream dress come to life (transforming me from cinderella to the princess bride, like the fairy godmother) but every single time I have been, you have treated me (and my mom) like royalty. 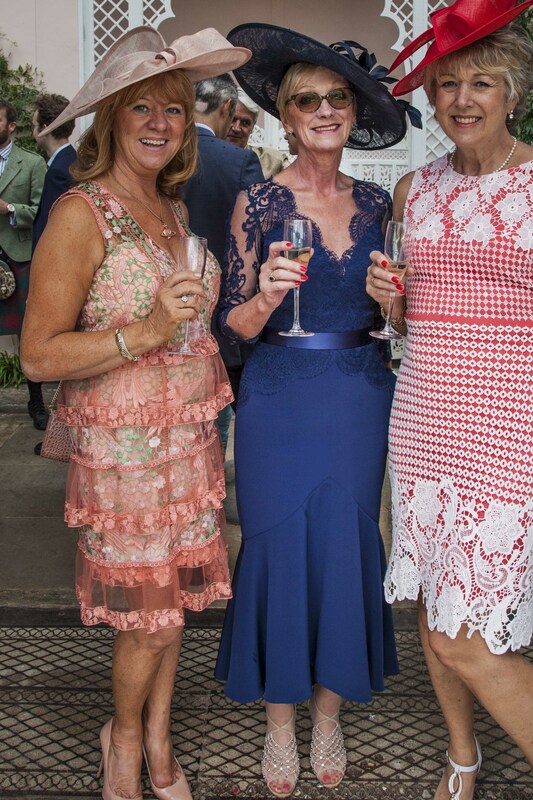 Even more than that, I love visiting you all in Knightsbridge, the family feel in the shop is totally unique and being welcoming into that hold has been a real privilege. 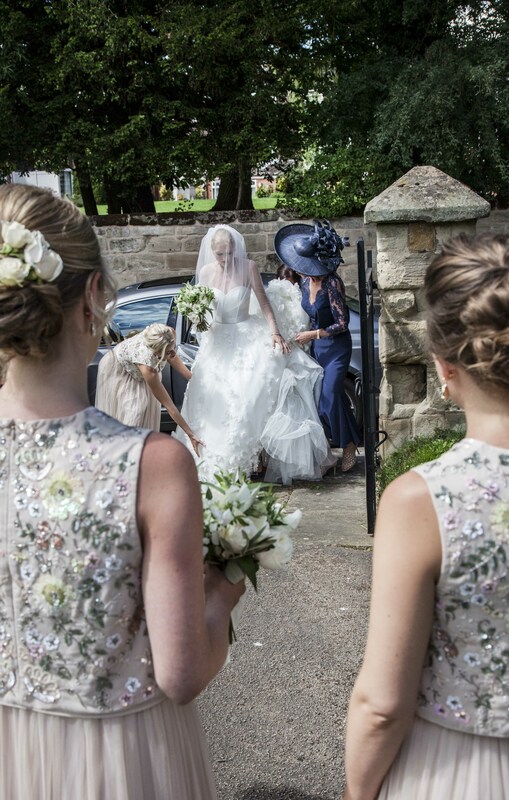 The dress is not just a spectacular work of art but a clear demonstration of the time, thought and care that has gone into it’s design and manufacture. 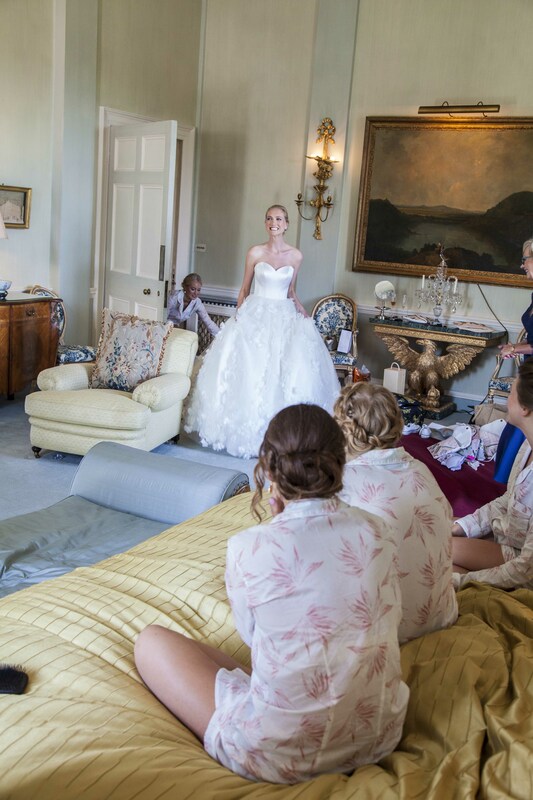 I had the best day of my life and feeling amazing was a huge part of it! 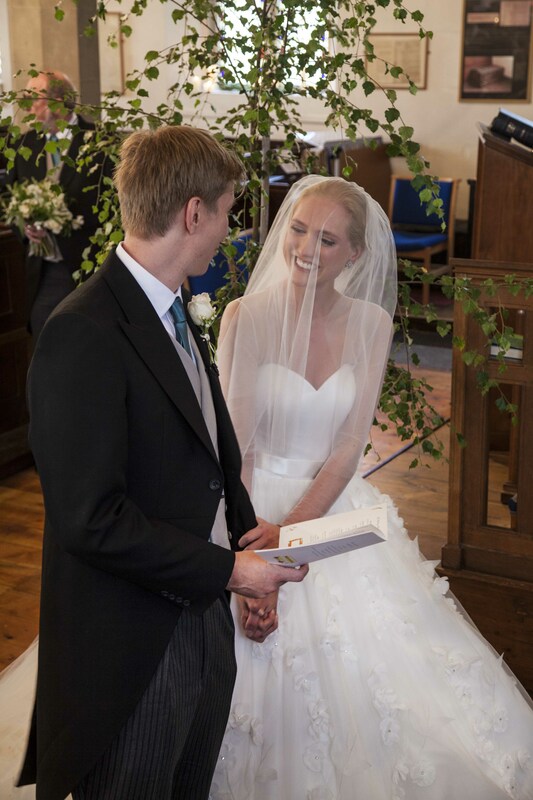 I can never thank you enough, I am so grateful and I truly mean it, from the bottom of my heart. 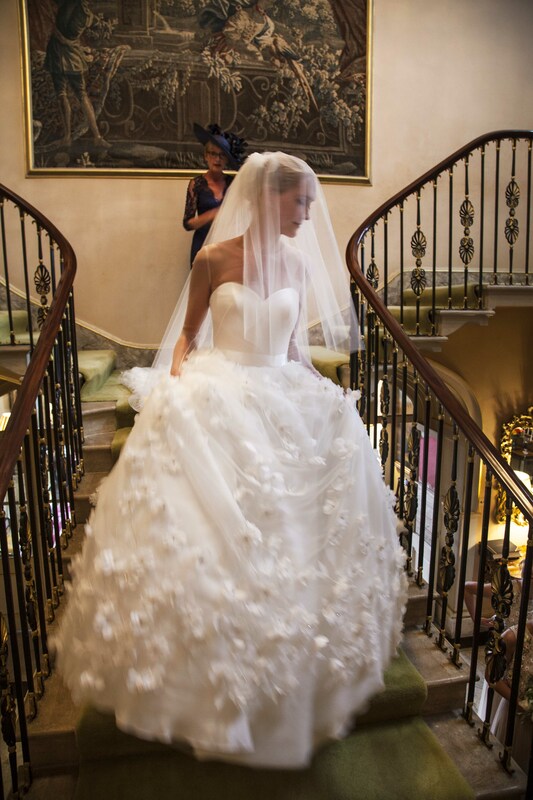 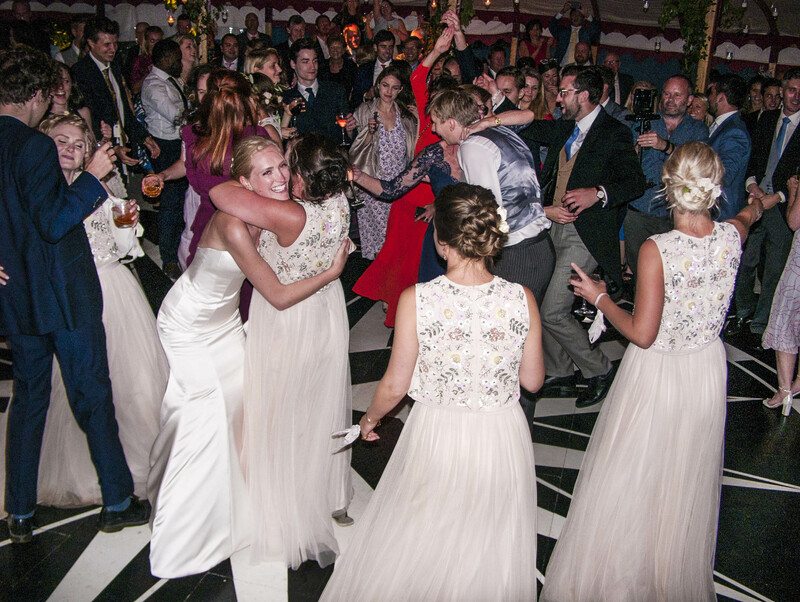 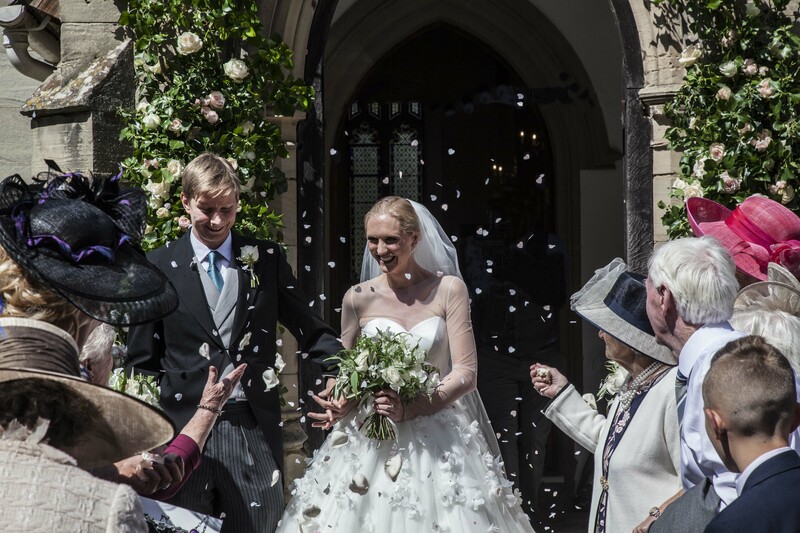 I felt like a princess and it was the most special day of my life.“ Francesca.